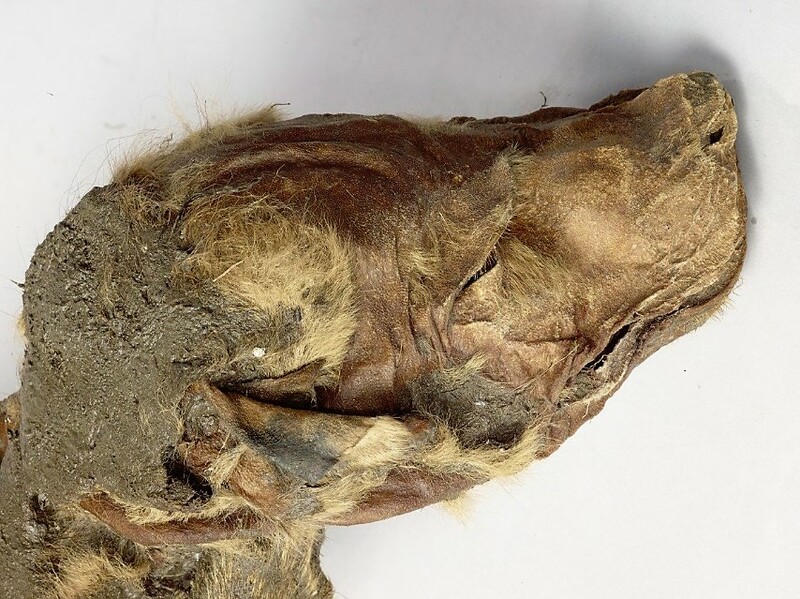 An article on bbc.co.uk - Mummified ice age wolf pup and caribou found in northern Canada - reports on the discovery of Ice Age fauna in Canada. All images: Government of Yukon. The rare remains of an Ice Age wolf pup (above) and a caribou (below) will offer insights about life in Canada's far north more than 50,000 years ago. 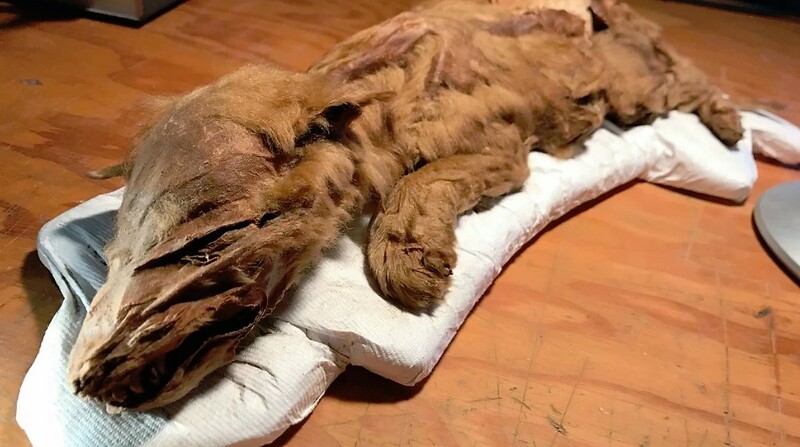 The creatures, discovered with intact hair, skin, and muscle tissue, were found in 2016 by miners near Dawson City in Yukon, and handed over to palaeontologists for research and analysis. Palaeontologist Grant Zazula explained that they are among the oldest mummified mammal soft tissue in the world. The wolf pup is estimated to have been about eight weeks old when it died. The caribou remains include the torso, head, and front limbs. Other creatures who roamed the region from that era, such as the woolly mammoth and even a species of camel, are extinct. But distant descendants of both the wolf pup and caribou can still be found wandering the Yukon.